Finding ways to build your email list fast is every marketer’s dream, said a recent DigitalMarketer.com article. 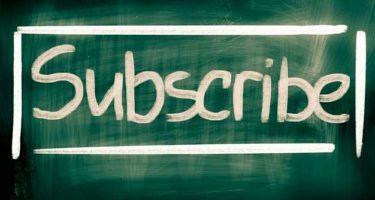 Email subscription lists are directly connected to the most interested, engaged, and loyal customers a business has. The article said improving the size of a list leads to more online sales and an increased level of web presence. The online article announced that Digital Marketer is releasing their new Special Report, “Double Your List: How to Double Your Subscribers without Doubling Your Traffic.” It represents a surefire way to increase the effectiveness of subscription list opt-ins, said the article. “Double Your List” shows marketers how to implement the best methods of increasing email subscribers while bypassing the whole traffic-generation conundrum. Bringing more people to a website would naturally increase opt-ins, but the Special Report shows how to capitalize on the current traffic arriving at any website. That way it maximizes the number of opt-ins. The article said that’s saving businesses thousands of dollars and multitudes of time and effort that would normally be devoted to traffic-building. The Special Report shares ten of the best scientifically-proven processes for boosting an email list, and Digital Marketer claims that implementing only half of them will produce eye-opening results. The email list building tips provided by “Double Your List” have been tested with real web traffic and have been confirmed as truly remarkable list improving methods. Boosting email lists shouldn’t be difficult, but the article said it’s sometimes hard to determine what makes a website visitor decide to be a list subscriber. “Double Your List” details the changes marketers should make to encourage opt-ins, and the ones they should avoid at all costs. The article said that it explains the reasoning behind people’s opt-in decisions, making it clear for marketers to understand the science behind their methods.